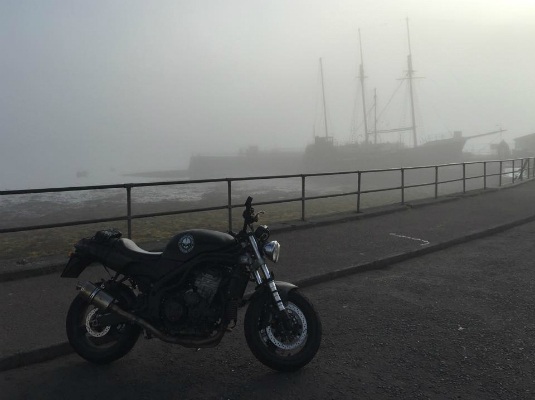 Autumn in Scotland produces the most amazing colours, views and motorcycle rides. From the brisk mornings with the mist lying on the hill tops to the colourful glens and valleys of Glencoe, Loch Lomond, the Highlands and the Borders. Greens, browns, reds and every shade of gold on the trees makes for a fantastic time to grab that stunning shot with your bike and enter our photo competition. Simply go out for a run, be safe and have fun! 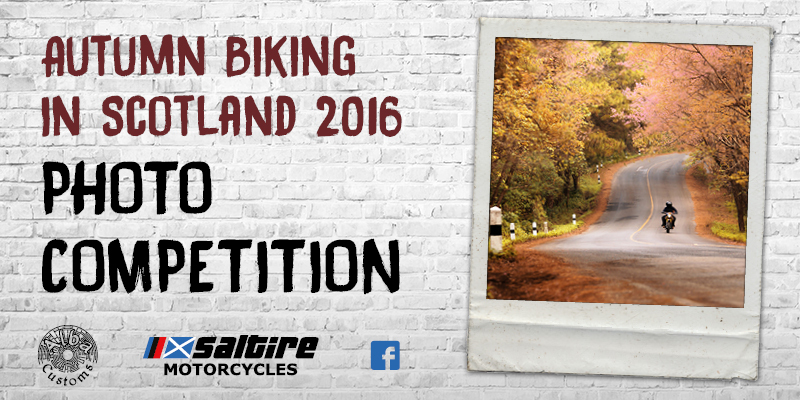 Then post a photo of a 2016 Motorcycle Autumn in Scotland moment that you feel needs to be shared, on to our facebook wall, you will then be in the running for an amazing prize. A full set of Knox Winter base layers, to see you through the Winter. The winner will be labour free at Saltire for the entire Summer of 2017. This includes everything from a simple valet, to a chain adjustment, right through to a full service. Labour free for a whole Summer from 1 June 2017 through to 30 September 2017. Taken in Inverary, Argyll & Bute.